‘Today the Moletto winery boasts a friendly team, which only a family can have, driven by enthusiasm and entrepreneurship, while remaining faithful at all times to our roots. These roots are embedded in the land and require dedication as well as care, passion and hard work. These roots are what we call “wine culture”, by which we mean they are a gift from the land to those who love, cherish and respect it. A gift that the Stival family are happy to share with our friends, who are always welcome to the Motta di Livenza estate to visit the wine cellar and the vineyards. A traditional gin spirit enhanced by craft quality distillation and a creative Italian flair. From the Veneto Region, the Italian region most associated with distillation, comes an original premium gin that combines the flavors of carefully chosen juniper berries from the Alps and the Mediterranean coast. 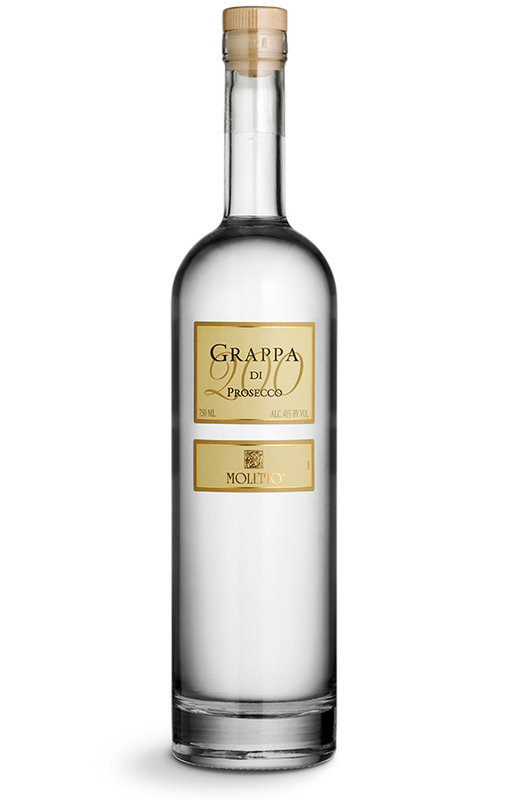 What makes this gin special and uniquely Italian is the flavor addition from the finest, ripe, Italian tomatoes! Selected mixed grains are distilled in artisanal copper stills to produce the alcohol base for this gin. Separate infusions of juniper berries, from the Alps and from the Mediterranean coast, are allowed to steep and impart their particular flavors so they can be blended together with the grain alcohol to form a traditional gin spirit base. What makes this gin completely original is the addition of tomatoes, which give the gin a natural taste and aroma that is unmistakably Italian. A burst of juniper first greets you followed by sunny, ripe Italian tomatoes, then notes of rosemary, mint, basil and a hint of citrus. 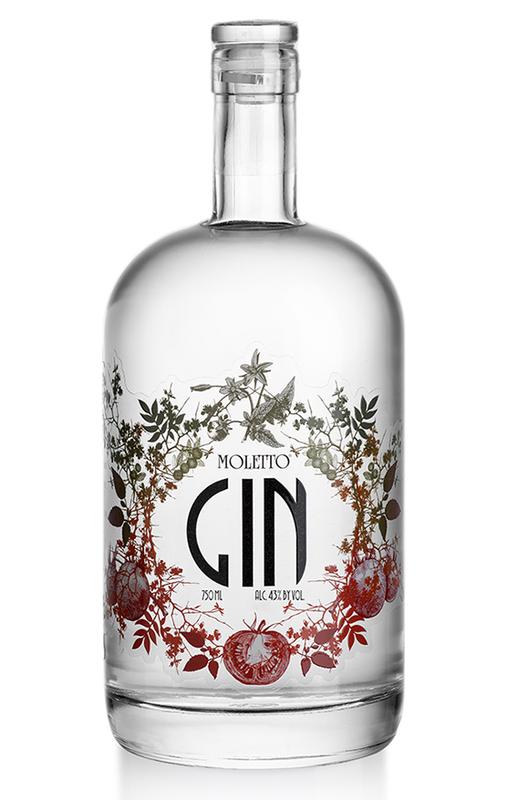 Enjoy Moletto Gin alone, in any classic gin cocktail, or in a new creation of your own. Clear. Dried pear, prune and pepper aromas. 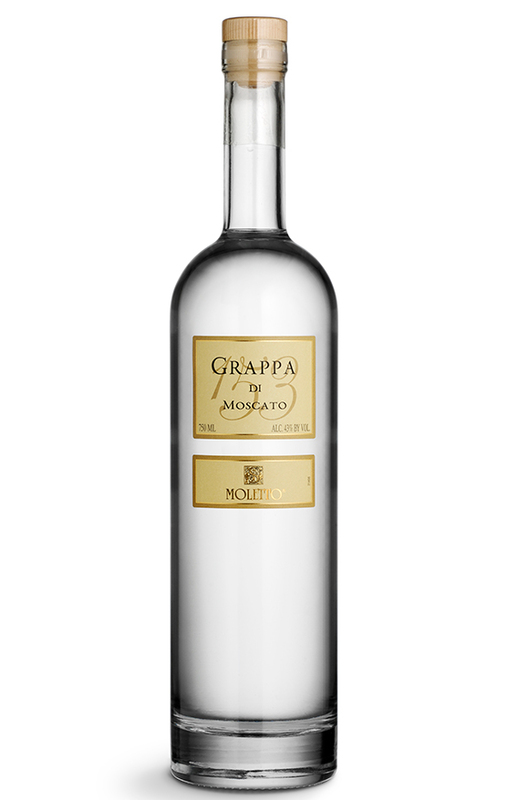 A round, silky entry leads to a fruity medium body of dried fruit, sweet cream and peppery spice flavors. Finishes with crisp, warming and balanced, lingering pear and crème Anglaise fade. A superb and complex choice to conclude a hearty Mediterranean meal. Pale golden color. Suede, toasted Brazil nuts and fragrant baked plum and pear aromas with a mélange of stone fruit, autumn fruit and golden raisin flavors with a delightful acacia honey and heather accents reminiscent of lowland Scotch. Finishes with fruit and spice fade and a dash of white pepper. 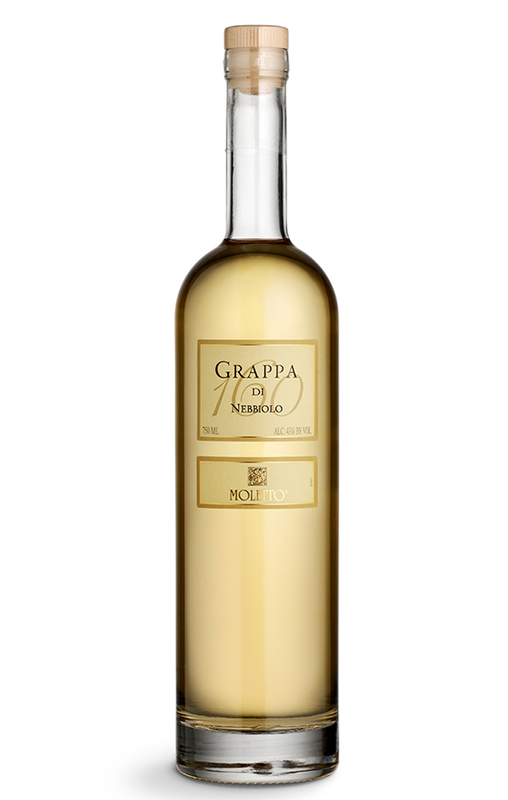 A superb aged grappa for after the big meal.